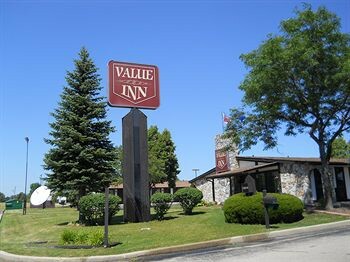 Property Location Located in Oak Creek, Value Inn Milwaukee South is in the suburbs and within the vicinity of Milwaukee County Sport Complex and Rock Snow Park. This motel is within the region of Henry W. Maier Festival Park and Milwaukee Art Museum.Rooms Make yourself at home in one of the 110 guestrooms featuring refrigerators and microwaves. Complimentary wireless Internet access keeps you connected, and cable programming is available for your entertainment. Conveniences include desks and coffee/tea makers.Rec, Spa, Premium Amenities Make use of convenient amenities such as complimentary wireless Internet access, a television in the lobby, and tour/ticket assistance.Business, Other Amenities Featured amenities include complimentary high-speed (wired) Internet access and laundry facilities. RV/bus/truck parking is available onsite.